This month: “The Aviator’s Wife”, “Day Night Day Night”, “Dunkirk”, “The House”, “Mikey and Nicky”, “The Mummy”, “Mysterious Object at Noon”, “Song to Song”, “Spider-Man: Homecoming”, “Take Care of Your Scarf, Tatiana”, and “Until the End of the World” (pictured above). 1981. We were all there. It was a summer morning, or in autumn, depending on your timezone. Everyone was queuing up for what was to be known as the first of Rohmer’s “Comedies and Proverbs”. 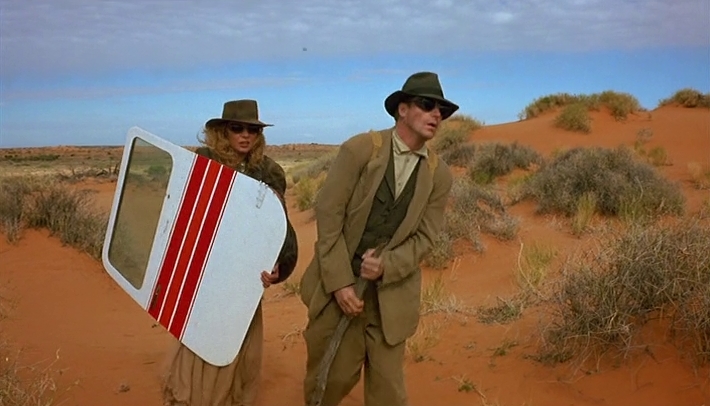 Back then, though, we just called it The Aviator’s Wife. Little did we know that this talkie would bridge the more rigid tone of his earlier films with the wonderful naturalism to come later on. The plot, so to speak, is minimal. Really, it’s a film about what’s not in the story: François frets about his girlfriend’s possible dalliance with an ex; said girlfriend, Anne, still ponders about said ex, Christian; and Lucie, a student François meets in the park, teases him about whether or not she has a boyfriend. Often, it’s a study in body language. One portion, in fact, consists of François and Lucie scrutinising Christian from afar. Who is that woman she’s with? Is that definitely the guy? Why are they both visiting a lawyer? (That said, no one questions why he’s so infatuated with a 15-year-old girl.) Whereas miscommunication is strife, the Parisian landscape is honest: the paranoid whinger scores sunshine from his flirtations and discovers darkness with his heartbreak. Could there be a green ray for him? No such luck. Would make an excellent pairing with Nocturama. The difference being that Loktev sends her terrorist into crowded streets, playing with soundscapes and serving up final meals. Also, the bit where the silence is broken by a tourist requesting for a photo. 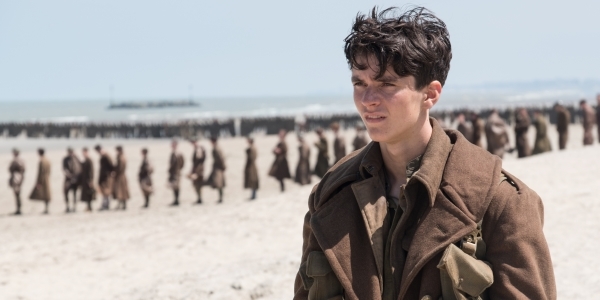 Christopher Nolan has a habit of toying with time, and he’s done it again with Dunkirk, a 106-minute movie that feels at least two hours long. That’s a bit harsh for what is a technical achievement. Albeit a technical achievement with a clumsy Rubik’s Cube approach to storytelling: the trio of arcs – land, air, sea – interweave like my headphone cable, and these storylines end up leading to one cacophonous mess. Just like my headphone cable. It’s a shame because the opening 30 minutes is up there with some of Nolan’s best work (alongside his push for 70mm, and the dopiness of “see you next fall!”) and there’s a pure adrenaline rush from running alongside Fionn Whitehead in a terrifying life-or-death environment. One moment, in particular, stands out: the sight of bombs exploding in a row, coming closer and closer, leaving scattered sand in their path. The House suffers because it’s more suited to an episode of It’s Always Sunny in Philadelphia than a standalone film. The pacing issues mean everything is rushed, and the emotional/comedic elements lack weight because everyone’s already a caricature. Compare it with Bad Neighbours, which Cohen and O’Brien also wrote; Seth Rogen and Rose Byrne felt somewhat real, as did the rowdy teens who just wanted fun. Here, the material is stretched, and you can see the daughter breaking character early on during a clearly improvised exchange between Ferrell and Poehler. Mantzoukas deserves better. The title sounds like a Yo La Tengo song. One of their acoustic songs that goes loud after a few minutes and ends in a drone. 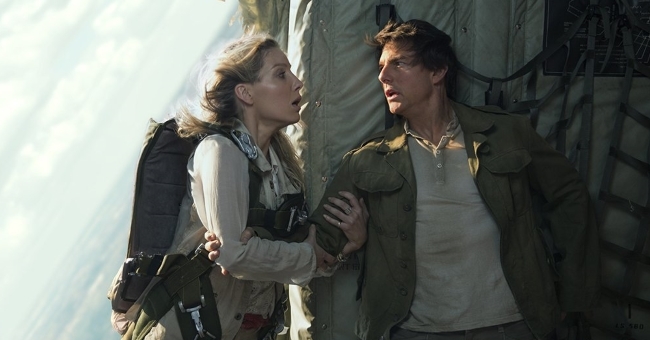 The best way to watch The Mummy is to wholeheartedly believe in the rumours that Tom Cruise controlled every aspect of the production. The bloated CGI blockbuster – otherwise a scattershot monstrosity that’s clearly a Frankenstein composition of various drafts – resembles Cruise assuring himself that everything will be OK. This applies to every single scene. Early on, a beautiful blonde assures everyone that Cruise still fucks. In later scenes, even the undead can’t get their flirty hands off his chest. A running gag consists of how long he lasts in the bedroom and that he Wallis leaves completely satisfied. Except it’s not really a gag. It’s just said, repeatedly, as if it’s a fact. Action scenes consist of Cruise flexing his choreography muscles (which is fine – he’s a movie star) but the other 90% are so that paper-thin characters can reassuring him that he’s still got it. “How did you escape that?” etc. By the end, Cruise realises he’s doomed, and controlled by an all-powerful source that’s either a metaphor for Xenu or his own addiction to Hollywood. He looks into the camera. Help me to help… me? A game of Exquisite Corpse that shows hints of what’s to come later on from Joe. Only for completists, really. Why, exactly, did Terry break decades of press silence for Song to Song? As far as I know, Gosling and Mara skipped promo, and Portman too. So what makes this one so special? Well, look at my first two sentences and how I’ve extended little bits with unnecessary commas, or how I broke the rule of three to tack on “and Portman too”. Malick is playing about with filmic grammar, and so I too am toying with film review grammar. It’s hard to describe it properly. You just hope someone notices. That said, Song to Song follows hot on the heels of To the Wonder and Knight of Cups, and there are a few repetitive elements – particularly the overlapping casts, the urban settings and some trademark camera flourishes. Very little of the film’s Austin music scene setting is of any interest. What takes centre stage instead is two recognisable love stories that can actually be followed. And… it worked better when you only knew Christian Bale was a screenwriter because it said in the press kit. Without the mystery, the magic hour loses its wonder. In Ariel, two strangers fall in love overnight in an absurd conversation: “Will you love me forever and ever?” “Yes.”. 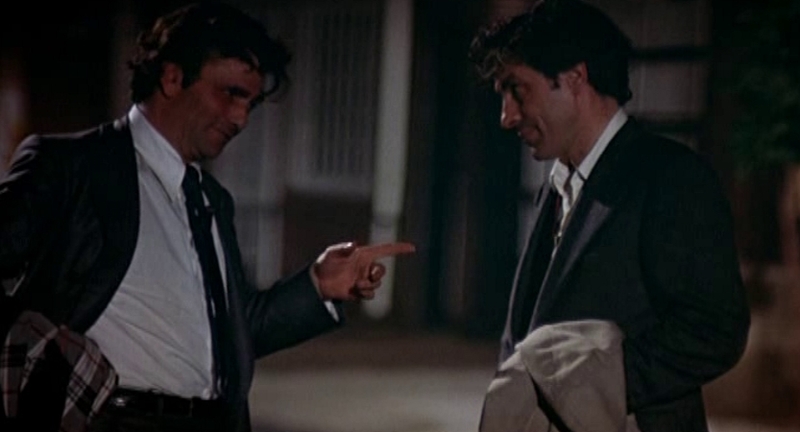 That trick isn’t pulled off as smoothly here, in a road trip whereby the two men don’t speak the same language as the women. 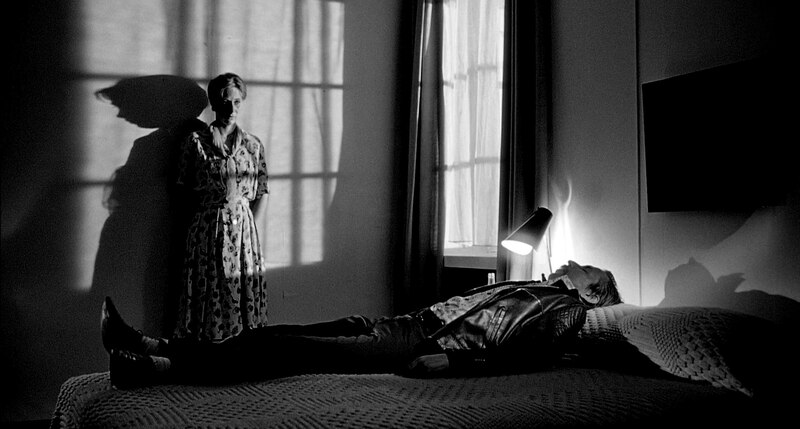 The physical humour still works – one guy drinks vodka, the other sips coffee – but otherwise, the divides are uneventful, even when presented in Timo Salminen’s always-alluring, black-and-white cinematography. I watched the whole five-hour version*, because I am not a wimp. 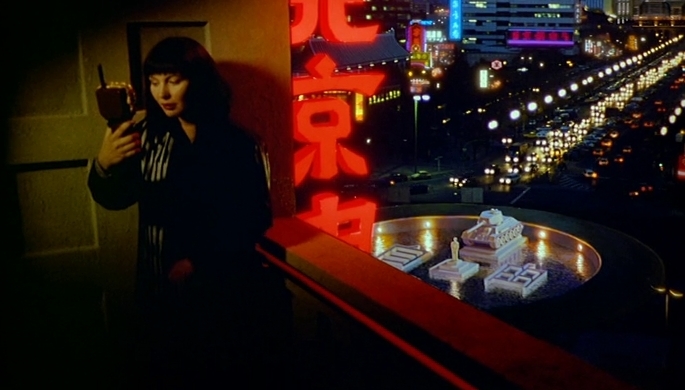 It’s the ultimate Wim Wenders films, by which I mean his strengths (the visual poetry, the sincerity of the emotional journeys) and weaknesses (the jarring tonal shifts, some cringe-y dialogue) are all exaggerated. *In three sittings, because I am a wimp. 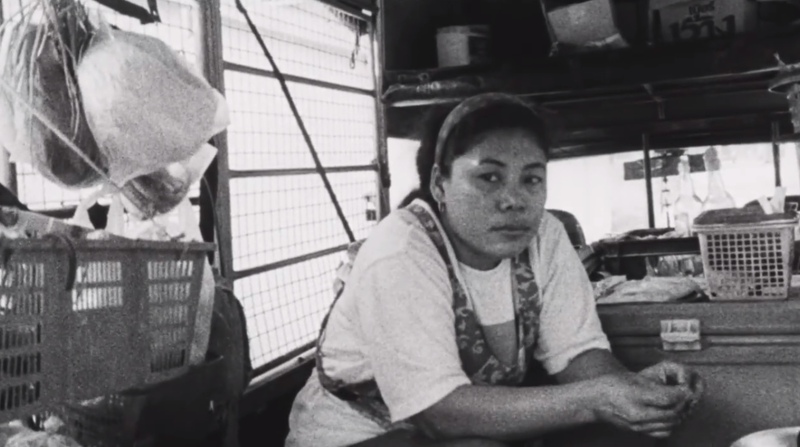 This entry was posted in Film review and tagged Aki Kaurismäki, Alex Kurtzman, Andrew Jay Cohen, Apichatpong Weerasethakul, Éric Rohmer, Christopher Nolan, Elaine May, Jon Watts, Julia Loktev, Terrence Malick, Wim Wenders. Bookmark the permalink.